Great use for our Reclaimed A Grade Sleepers. 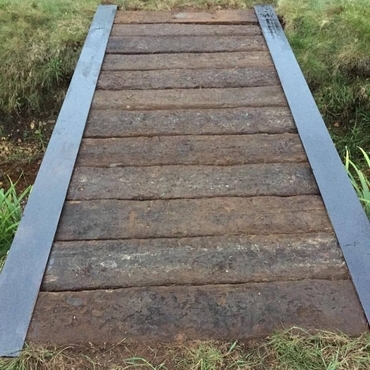 Over 100 of our sleepers have been turned into several pedestrian bridges. Thank You to our customer for sending in the picture.